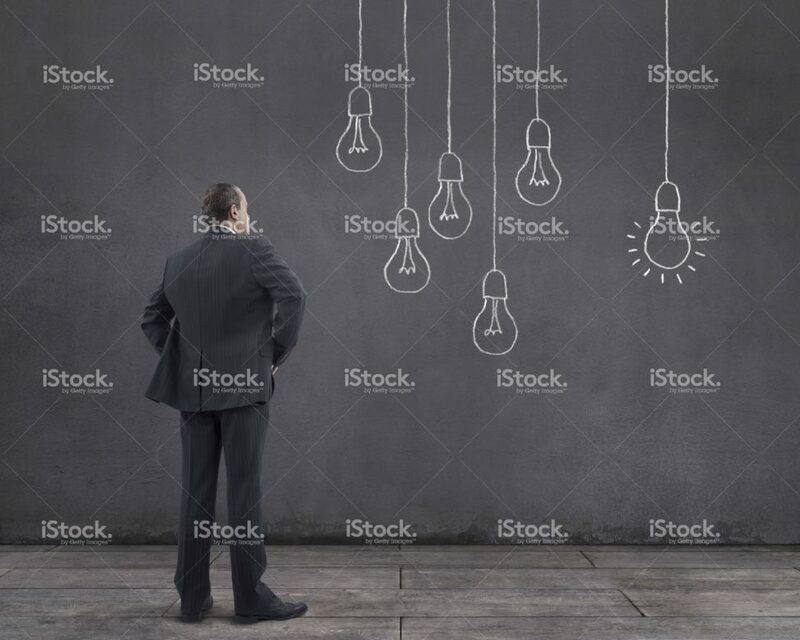 Rear view of businessman standing on wooden floor with hanging light bulbs sketched on the wall (one of them is glowing). He is thinking and searching new ideas. Note: Hanging light bulbs drawing by mgkaya.